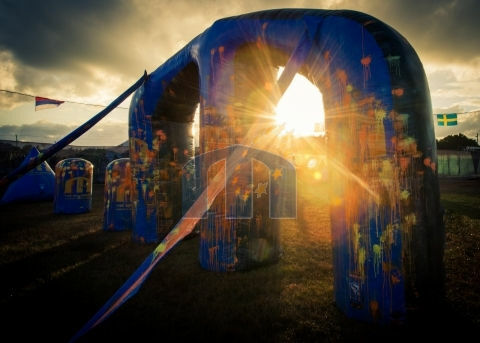 The European Paintball Federation has published version 1.0 of their Rulebook. These rules are applicable to the Millennium Series from this coming season. 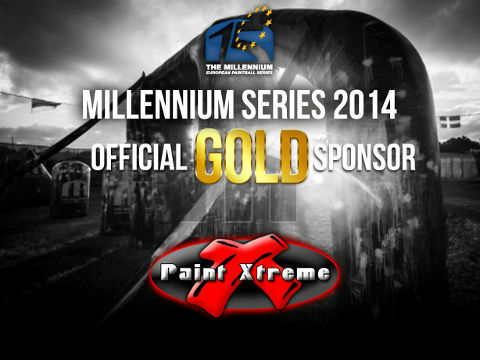 The Millennium Series is proud to announce Fabrice Poujade as the newest member of the Millennium Series team. 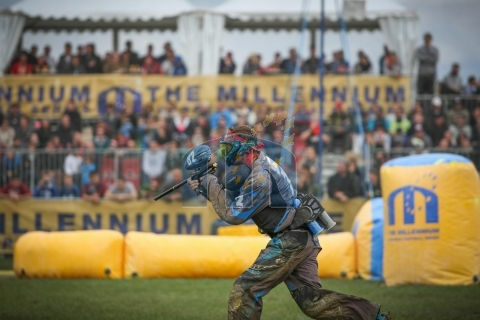 Fabrice will be bringing his vast experience to the Millennium and will be coordinating sponsorship and media from inside and outside the paintball industry ensuring maximum publicity for the series, teams and sponsors and increasing public awareness of our sport at all levels. Fabrice has been involved in paintball since 1994, playing with teams such as Vision Marseille and has 15 years experience in the paintball industry: starting the Sport Attitude paintball department, growing the CAMP store and field, managing FACEFULL magazine and spending the last 7 years developing DYE Precision in Europe. 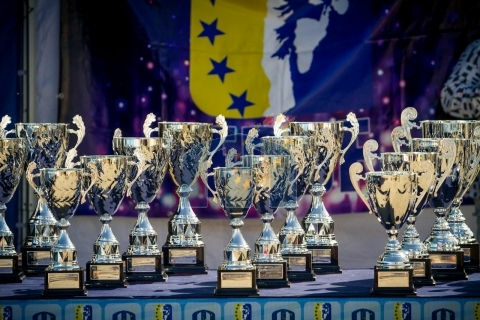 Fabrice Poujade commented; "It’s a great opportunity to bring my experience and knowledge to the #1 professional paintball league in Europe, I can't wait to start this new challenge and looking forward to making a contribution to the future of Paintball." 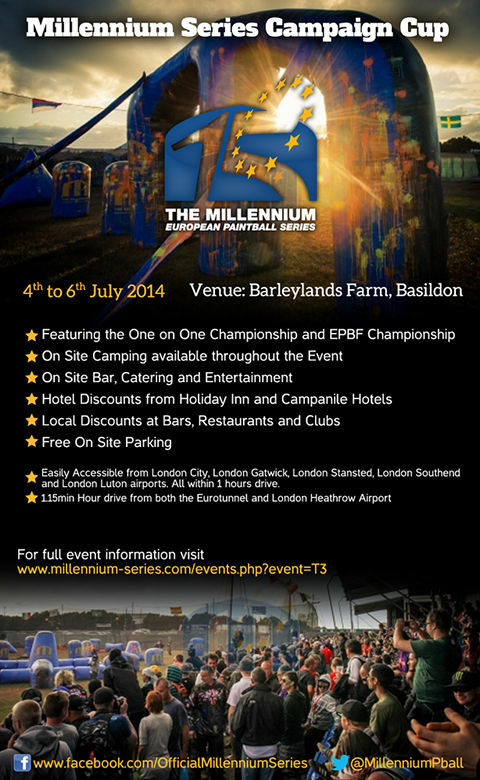 For The Millennium, Barry Fuggle commented; "It’s great to have Fabrice as part of the team. 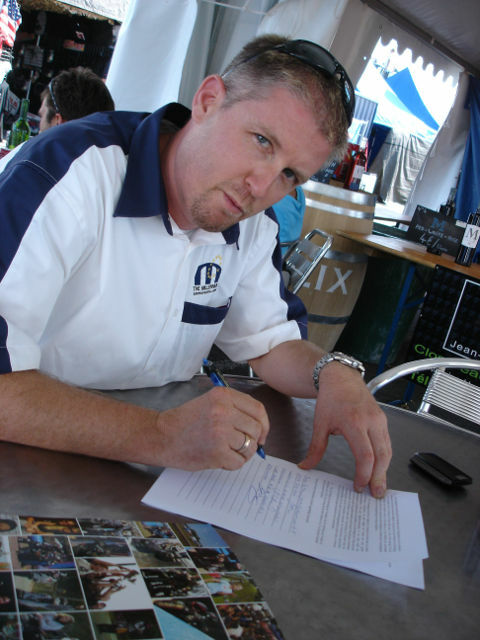 We have known him for many years and he has always been very supportive of what the Millennium is trying to achieve for European paintball. 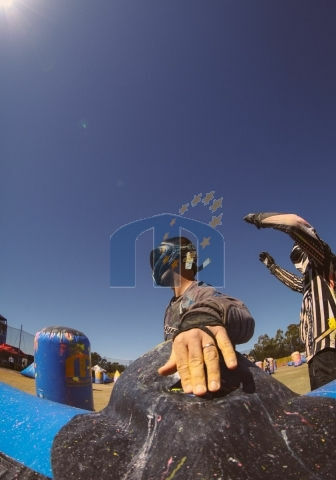 Being a player and very prominent in the industry, Fabrice has a full understanding of a professional paintball series from all points of view. 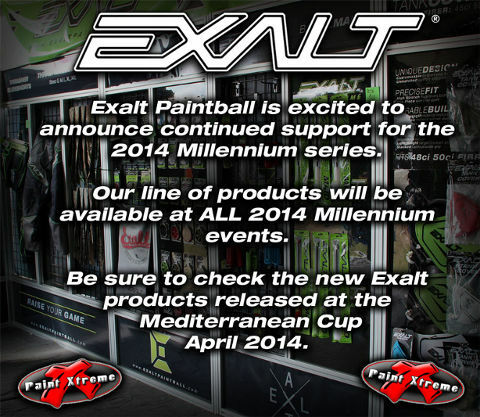 We look forward to his input and his desire to see the sport of paintball grow in Europe for the benefit of all." 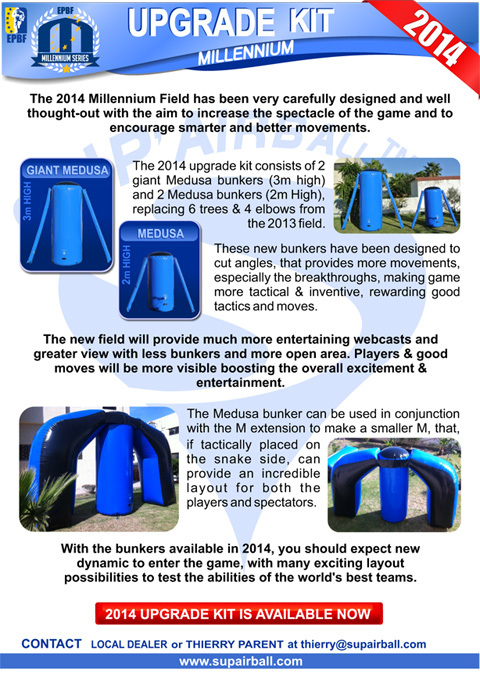 The final event of the 2014 Season will be held in Paris, France on 26th to 28th September 2014. This event will be the culmination of our 15 year anniversary celebrations, and we have planned an event the likes of which has never been seen before! We can confirm, for those wishing to book travel early, that Charles de Gaulle is the closest International Airport to the Venue. Full details on location and hotels including some very special deals for all, will follow in January. 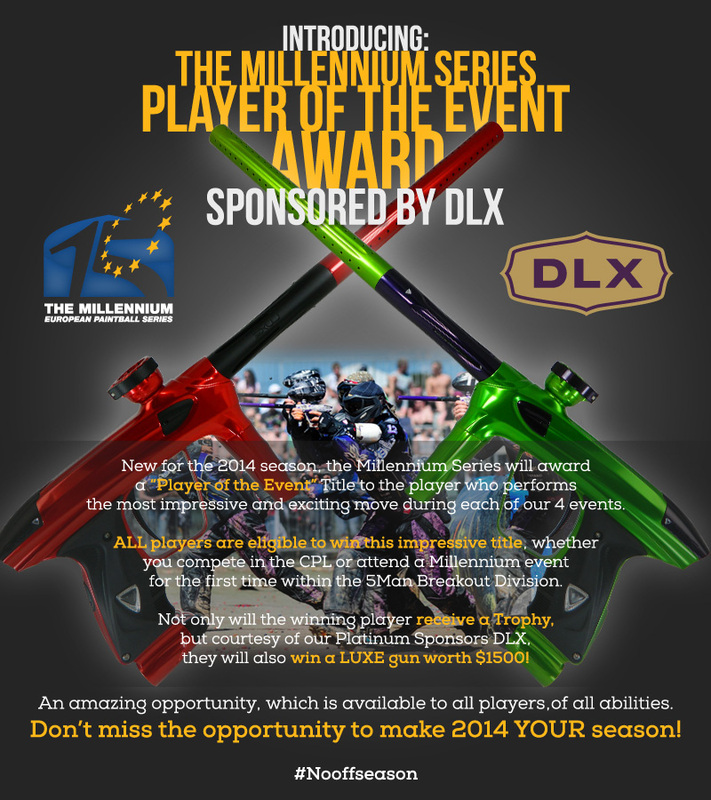 We would like to take this opportunity to wish all our players, sponsors, supporters and all those involved in making the Millennium Series the most successful, longest running Paintball Series in the world, a very Happy Christmas and New Year!